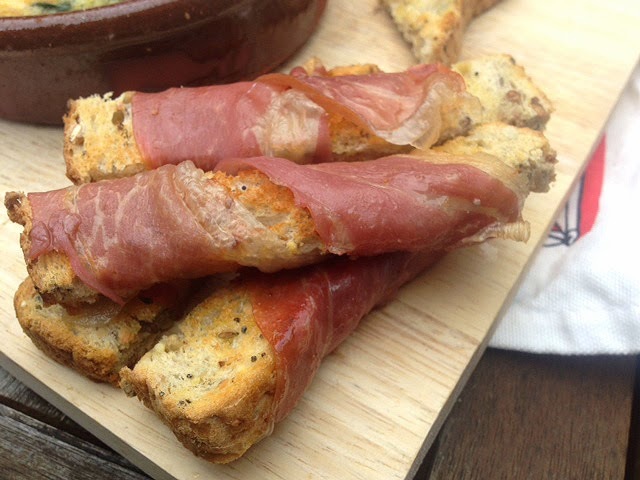 These parma ham soliders make any brunch look extra special, and don't tell anyone, but they're so easy to make. Perfect for taking a simple boiled egg to another level of sophistication, or to sit temptingly next to a dish of baked eggs. Lightly toast two slices of some wholegrain, seeded or any substantial bread that won't fall apart easily. 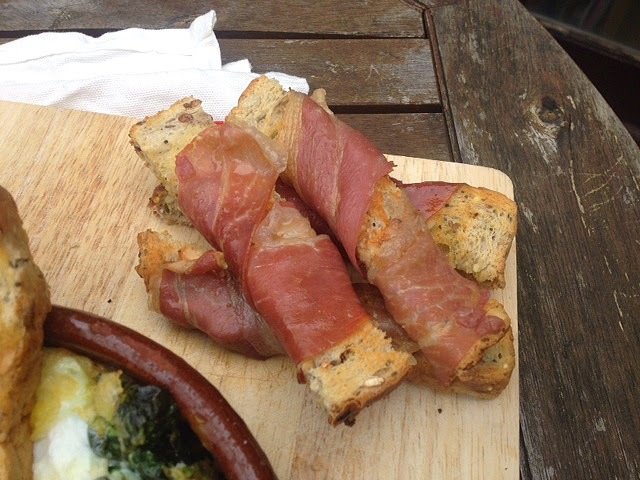 While it's toasting, take the parma ham or prosciutto and slice it into long slices that are around 2cm thick. Make sure you have eight slices. 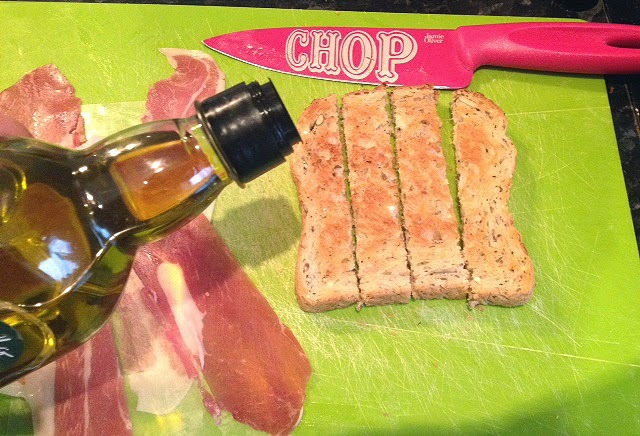 When the toast is golden use a sharp knife to make four soliders from each slice of toast, and then drizzle with olive oil. 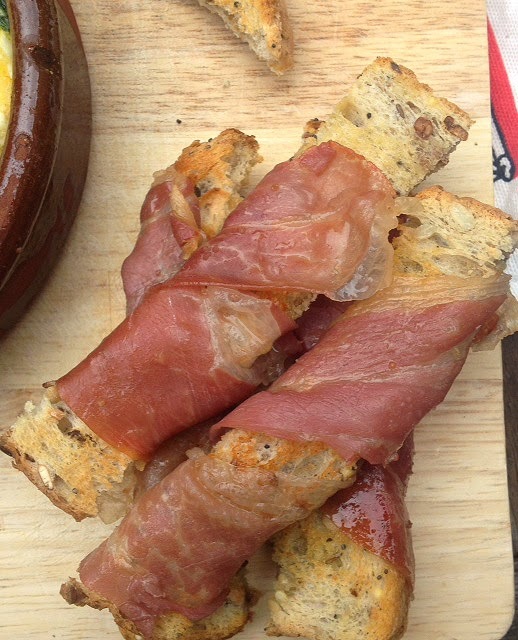 Take a solider and wrap with a length of the parma ham - the oil should help it stick. And repeat with the remaining soldiers. Place on a baking tray and bake for a couple of minutes at 200 Degrees Celsius to firm up. Serve hot from the oven next to your chosen breakfast dish.